Be a Scotsman for a day (Drawers optional?). 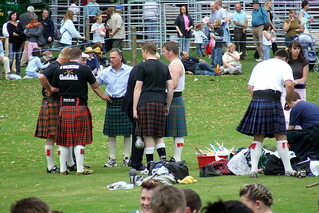 Scotland's Highland Games are world famous and the mini version thereof is a great party activity that will have you sweating, laughing and puffing. 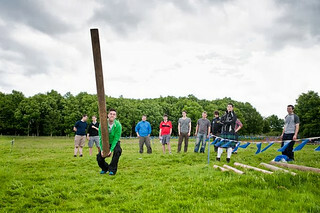 We can arrange your very own Mini Highland Games in Edinburgh for your stag do. Mini version of the Scottish traditional games in Edinburgh. Ideal for stags out chest-thumping with activities. Higland games in leading centre of activities, Mad Max, in Edinburgh. Includes traditional gaming deals, instructions from experts. Perfect for all group size. Mini highland Games set in the grounds of classic Scottish surrounding followed by clay pigeon shooting. 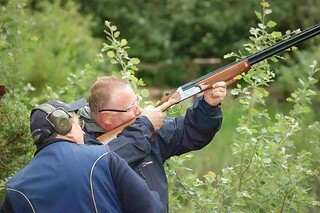 Choose 2 activities for an action day in a leading activity centre: Choose from 4x4 Off Road, Clays, Archery, Quads, High Ropes or Mini Highland Games. Approx half a day including mini highland games and clay shooting. We use this center if you are rafting or cliff jumping for a full day of fun. 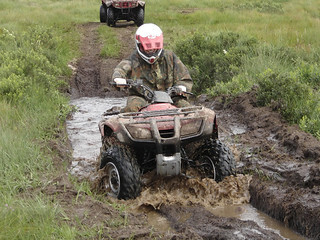 Choose 3 activities from 4X4 Off Road, Clay Shooting, Archery, Quad Biking or Mini Highland Games. Allow at least half a day for these activities. Perfect for groups of 8 or more. 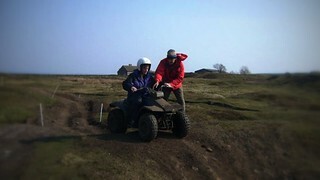 Choose 4 activities from 4X4 Off Road, Clay Shooting, Archery, Quad Biking or Mini Highland Games. Allow at least half a day for these activities. Perfect for groups of 8 or more. 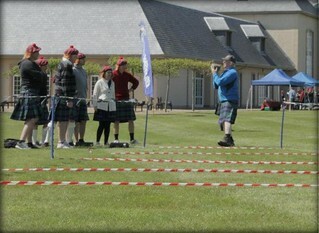 The games commence with seeing who in the Clan can toss their caber the furthest! Finally the famous Tug of War(anyone pushing will be disqualified). Where are the Highland Games Held? On the outskirts of Edinburgh (about 15 minutes from the centre of town) or near Perth about 1 hours drive depending on other activities you want to do. The games commence at 10.30am and last about 3 hours depending on the size of your party. We also have afternoon sessions as well. 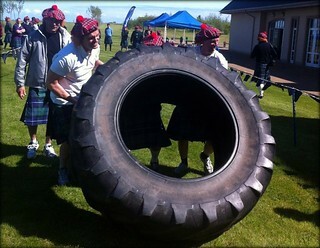 Why we Recommend Highland Games? Traditional Scottish pastime that sorts the men from the laddies and is a brilliant stag party activity and is very competitive which will be talked about on the night and for years to come. All the guys will get to flex their muscles and let of some steam before a great night on the town. The Groom & Best man can say that they had a great Stag party with a bunch of tossers (Loads of material for the speeches).